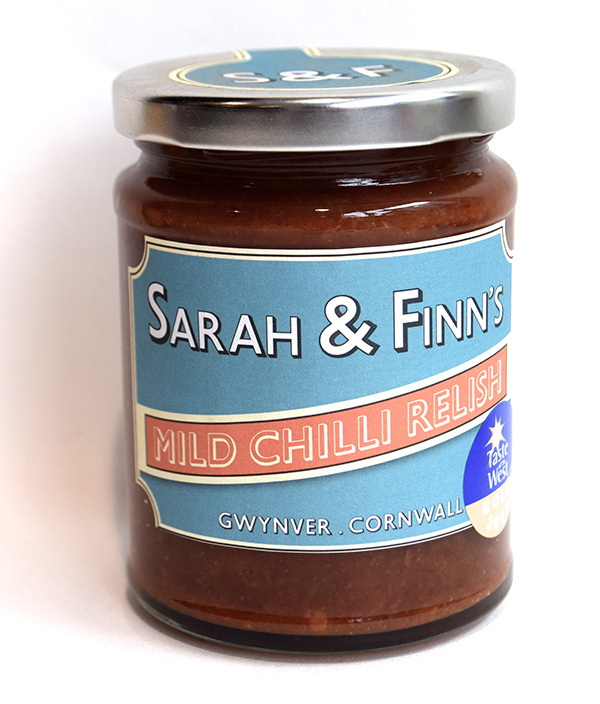 Sarah & Finn’s Mild Chilli Relish is home made at Gwynver, Penzance, around half an hour from our shop in Falmouth. 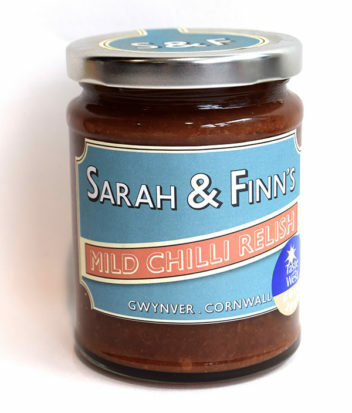 This Gold Award winning Relish works well with a variety of meat dishes, including lamb, beef, chicken and is great with burgers too! It adds a zing to a Cheese Ploughman’s and is ideal for those who enjoy the warmth of Chilli without the heat. Contents; Sultanas, Vinegar, Sugar, Ginger, Chilli(6%), Garlic, Cornish Sea Salt. 300g. Made in a kitchen where nuts are used. Suitable for Vegetarians and Vegans.